Anne Marchand, SPACE OF LOVE, mixed media on canvas, 30x40 in. 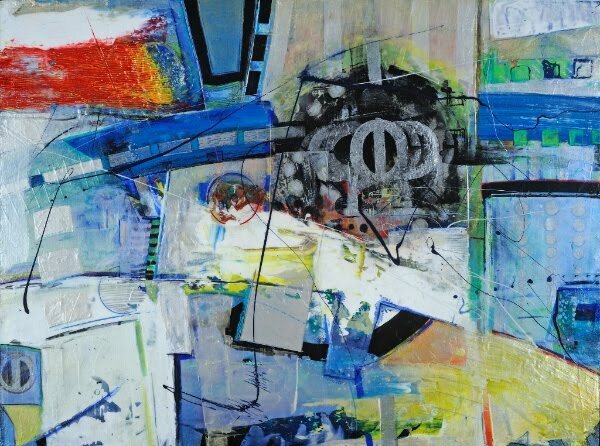 Green Chalk Contemporary is pleased to present Awakening – a collection of works by artists reacting to a new era in Washington. The show opens with a public reception and benefit for The Kinship Center, a non-profit organization dedicated to helping Central Coast neglected and traumatized children through foster care, adoption, relative caregiving and mental health services, on February 10, 2017, 3rd Floor, Carmel Plaza, Carmel-by-the-Sea. Curated by Gail Enns, the show will feature contemporary paintings, photography and sculpture by American artists: Sharron Antholt, Annie Buckley, Kim Campbell, Kristin Casaletto, Peter Charles, Jamie Dagdigian, Kayhan Ghodsi, Susan Hyde Green, Peter Hiers, Anne Marchand, Logan Norton, Jane Olin, Robin V. Robinson, Tony Sheeder, Lisa Solomon, the Temple Sisters, Robin Ward and Martin Webb. Themes addressed by artists in the exhibition include public, private and personal reactions to the 2016 elections, the continuing effects of media saturation, the shifting divisions of identity politics, the status of gender, and the opportunities for positive change that may emerge during a time of transition. 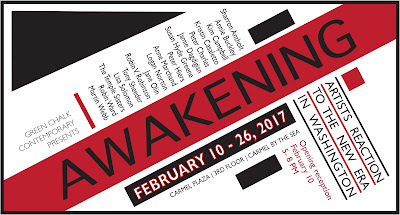 Awakening will be exhibited to the public on the Third Floor of Carmel Plaza, at the corner of Ocean Avenue and Junipero Avenue, in Carmel-by-the-Sea, from February 10 to February 26, 2017. The opening reception is scheduled on Friday, February 10, from 5:00 to 8:00 p.m.